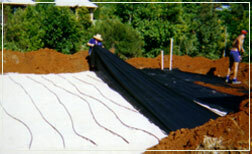 Trine Solutions is a small family company based at Billinudgel, Northern NSW, who specialise in all aspects of Wastewater Management. 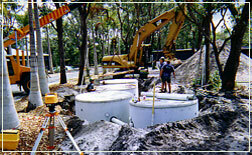 Trine Solutions has been supplying the Byron Shire and beyond since 1998 with Environmental Plumbing Solutions. Trine Solutions specialises in the design and installation of On-site Sewage Management Systems for both Domestic Dwellings and Commercial Developments. For Environmental Consultancy and complete solutions to Wastewater Systems, Sewage Treatment, Draining, LPG Gasfitting and all Plumbing needs.